Pamela joined Ross & Company in 2018, and brings nearly 10 years of executive search and related experience. 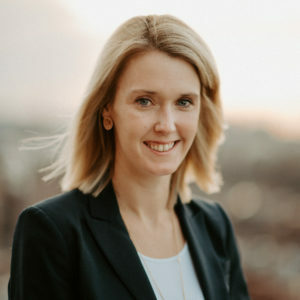 With her extensive knowledge of the venture and growth equity space, Pamela contributes to the identification, development and execution of search activities at the C-suite (CEO, CFO, COO, and CTO), Board of Director, and functional senior leadership levels within healthcare services, healthcare information, and medical device for venture capital backed and private equity assignments. Prior to Ross & Company, she was an SVP at Glocap Search and member of the Investment Professional Team, responsible for placing investment professionals nationally and across levels into Venture and Growth Equity firms, Private Equity firms, Hedge Funds, Real Estate firms and other corporations. Pamela began her career in the Private Bank at J.P. Morgan, where she was a member of the Private Bank Partnership Team, working closely with the Investment Bank Client Executives to cross-sell Private Bank services, and connecting Private Bankers with the appropriate internal resources for their clients’ corporate needs. Pamela resides in Philadelphia. She is married and has one son. Pamela has a B.A. degree in Psychology from Duke University.